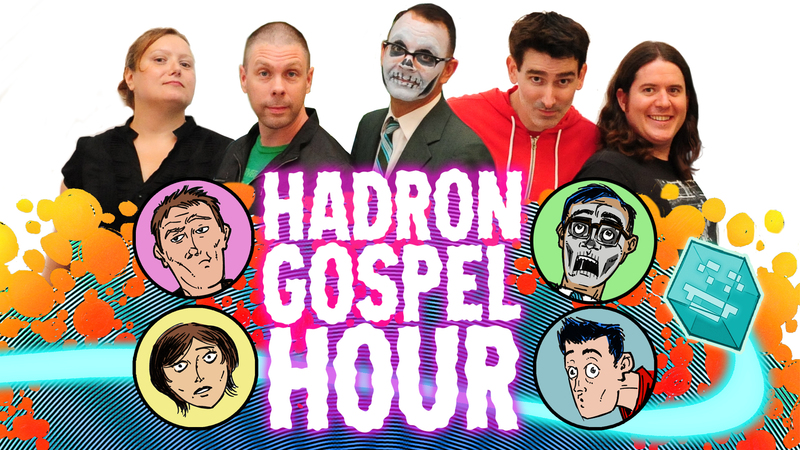 Hadron Gospel Hour, the Parsec Award-winning science fiction audio comedy adventure show, has received the nomination for Best Podcast at the 2015 Geekie Awards which will be held on October 15th in Santa Monica, CA. 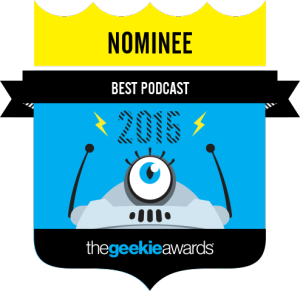 The Geekie Awards® is a yearly award ceremony that honors independent creators of science literature, webseries, comics, podcasts and fashion. The mission of the awards is to give independent content creators the opportunity to be recognized in a way previously reserved for actors and celebrities. From hundreds of entries, Geekie Awards® nominees are selected on the basis of high production values, content and genuine passion for the subject matter. The award ceremony is held in the Los Angeles area. This year’s awards ceremony will be held on October 15th, in the Santa Monica, California aircraft hangar where Robert Downey, Jr. (Iron Man) celebrated his most recent birthday. Media/Inquiries For press inquiries or talent booking, contact: publicity@thegeekieawards.com. To apply for PRESS CREDENTIALS for The 2015 Geekie Awards on October 15, 2015 at the Barker Hangar, fill out this credential request form. You can also view the list of nominees here. 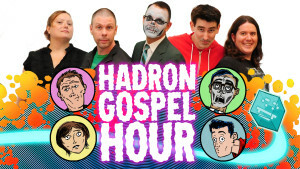 We’ve heard from a number of you that it’d be more convenient for you to enjoy Hadron Gospel Hour via YouTube. Being a benevolent entertainment conglomerate, we took your comments seriously and have begun uploading our back catalog to YouTube! Beginning with our next episode (Episode 14), we’ll begin uploading new episodes simultaneously to iTunes and YouTube so that everyone has access to the new stuff at the same time, and no one gets left out. SO! If you’re getting on the HGH YouTube train, subscribe right now and make sure you get the goods! Go here to listen and subscribe (and “like”, and comment, etc). Thanks folks! 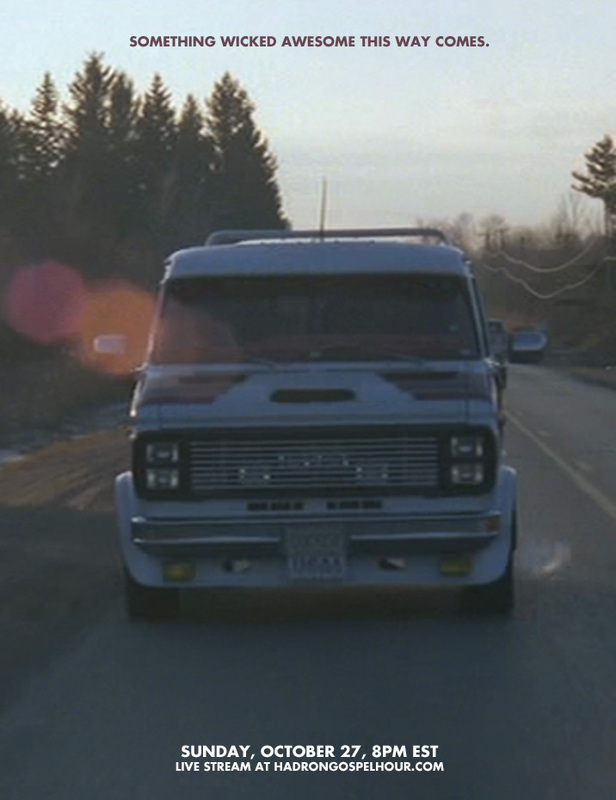 On our special Halloween episode on Sunday Oct. 27th, we will feature a very special guest star — maybe the most awesome guest star ever to grace a show!